Arc Energy Resources, a specialist in weld overlay cladding since 1994, has developed a reputation as one of the UK’s leading weld overlay cladding experts. Dedicated to upholding the highest quality standards, Arc Energy excel in supplying weld clad products to a variety of market sectors. Weld overlay cladding is a process that provides protection for metallic components by welding a layer of corrosion-resistant alloy to areas at risk of corrosion and wear. It can be applied to an entire component, or only to specific areas of concern. Typical components clad by Arc Energy include pipes, valves, flanges, connectors, and elbows, as well as more complex geometries such as tee pieces and wye pieces. Fully cladding a carbon steel component with alloy 625, as opposed to producing it in solid alloy, can reduce costs by as much as 60%. Only clad the areas at risk. 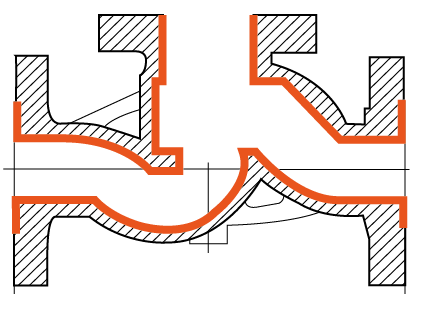 Typical areas include pipe bores, connector seals, ring grooves, valve seats and flange faces. Select appropriate overlay materials for your application. Buy carbon steel components off-the-shelf and clad them in days, rather than waiting 12-16 weeks for specialist forgings. Exotic alloy castings can include sub-surface defects. Cladding the surface produces a very high-quality layer with minimal imperfections. A full range of NDT provides reassurance of quality. Protect internal piping from high-pressure corrosive fluids through specialist weld overlay pipe cladding. 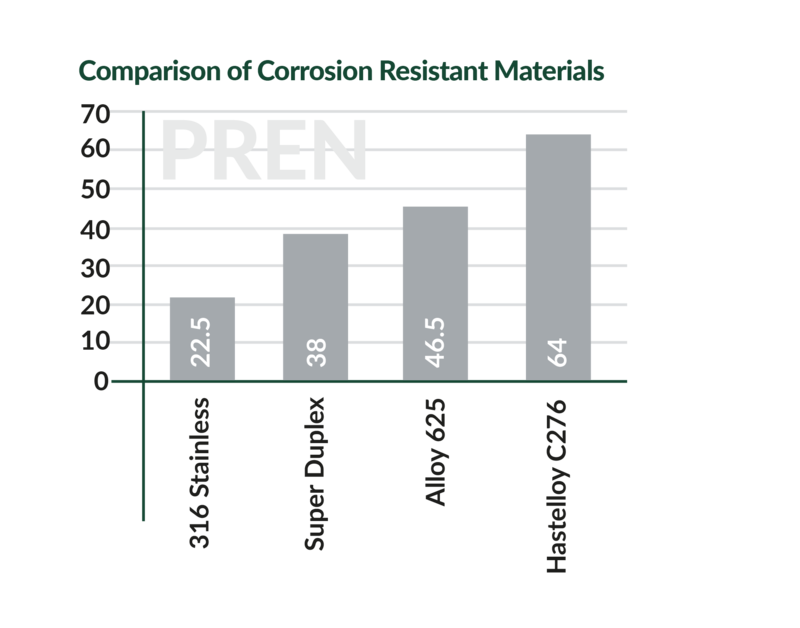 The process prevents corrosion and damage to pipe systems and avoids potential repair and replacement issues. Valves introduce high pressure points along a pipe system. Arc Energy’s robotic arms allow for 360 degrees of continuous welding from pipe to valve, retaining the overall core strength of the system. Flanges are crucial points in pipework that introduce high pressure points in the overall system. Effective overlay cladding prevents corrosion of the pressure points and stabilises the pipeline throughout the system. 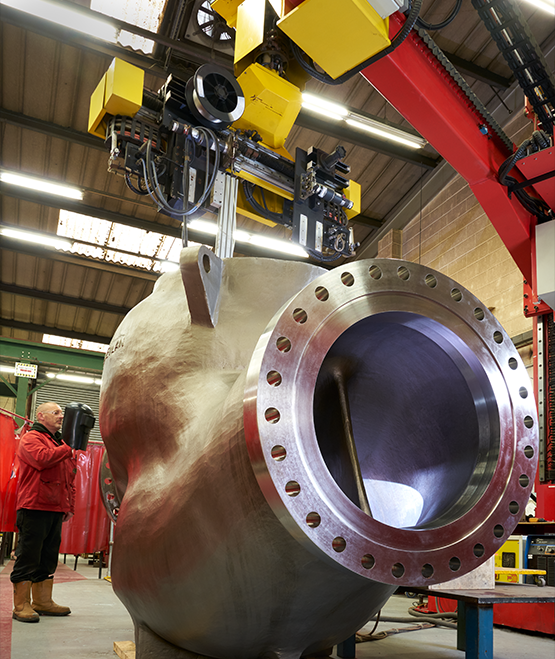 Effective specialist fabrication is required on a wide range of systems across countless industries. Arc Energy combine core activities of weld overlay cladding and specialist fabrication to prevent corrosion at critical points in aggressive environments. Arc Energy’s weld overlay cladding services are utilised by clients in a vast number of industry sectors where service conditions require corrosion resistant properties. Weld overlay cladding provides the assurance of a heavy-duty metallurgically-bonded protective layer that will not be undermined or dislodged in service. Welding can be overlayered to an application externally (ie flange face) or weld inlay internally (ie through a pipe bore). Integrity of the cladding can be confirmed in-house via a variety of non-destructive testing (NDT) methods including dye penetrant and ultrasonic. Typical materials for cladding in common use at Arc Energy include alloy 625, alloy 825, Monel 60, Hastalloy C-22, Hastalloy C-276, Ultimet, Stellite 6 and stainless steels, as well as many less common alloys. With over 5,000 qualified weld procedures, and the technical expertise to back them up, Arc Energy can meet any base material and cladding combination. Arc Energy’s weld overlay cladding technology utilises a range of processes with great flexibility. An array of component shapes and sizes can be protected, with an equally broad range of base material/cladding alloy alternatives. Whether a one-off special or a large production run is needed, Arc Energy’s ability to clad complex geometries has made weld overlay the most adaptable and flexible anti-corrosion method in use. An extensive library of weld procedures and welder qualifications are certified in accordance with international standards including ASME, API, ISO, DNV, Norsok, MIL and many others. management systems certified to ISO 9001:2015, ISO 14001:2004, ISO 3834-2, OHSAS 18001:2007 and ASME U + U2. With over 5,000 qualified weld procedures and 20 cladding stations, Arc Energy has the capacity to satisfy almost any weld clad requirement. Dedicated weld overlay workstations use single and multi head, and include in-house designed and manufactured cladding stations, continuously rotating head stations, robotic cladding and welding, specifically designed pipe cladding stations, all equipped with the latest advance control and inspection facilities. Arc Energy currently have 75 staff and we forecast that this will increase steadily each year. Arc Energy has the capability to clad bores ranging in size from 20mm to 4M in diameter. Overhead cranes lift components up to 15T in weight, but our flexible approach means portable cranes can be used to lift much heavier items. Since 1999 Arc Energy has had a multi-million pound turn over with continuous growth. Having out grown our previous premise we’ve been at our current site in Eastington, Stonehouse since 1999. Arc Energy Resources is a Centre of Excellence for weld overlay cladding. This is based on the expertise built up by highly trained and experienced work force; many with more than 25 years of supplying weld overlay services. Arc Energy Resources undertake R&D projects to maintain our technical edge, but also carry out welding procedure qualifications and welding development projects for clients. R&D activities focus on bringing new equipment or welding processes to the stage where they are robust enough to be rolled out to production. We employ four qualified welding engineers, two certified to European welding engineer standard, who will work with clients to develop the ideal solution to their corrosion and wear problems. You may also be interested in Arc Energy ASME U + U2 Stamp accreditations.